A successful job search is all about making your application stand out from the rest of the competition. Everything from your resume and cover letter, to your interview interaction, up to your personal references should highlight how and why you are the “perfect” candidate for the position. This may sound like a difficult task, and it is, but if you play your cards correctly, the rewards of positioning yourself as the ‘best of the best’ is worth all the trouble. Unless you have insider access to the company you’re applying for, you will start as another face in the sea of mounting resume stacks. The first step to making a winning first impression starts with your resume. These documents should look professional and should do a good job of detailing your work experience, skills, and general qualifications. Increase your chances of being considered for an interview with a custom resume that targets the specific position you are applying for. 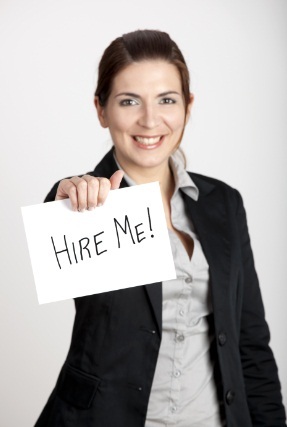 Your cover letter should also help sell your application by supporting and expanding on what you have on your resume. Now that your resume and cover letter has done their part of getting you that coveted job interview, the stage is set for you to meet the powers-that-be. Whether it’s the recruitment officer, the hiring manager, or the CEO of the company, make a conscious effort of dressing to impress. Use the following checklist as a guide to help you choose the right clothes. Shoes: Must be polished with no visible dirt, dust or tear anywhere. Stick to wearing black or neutral colors. Men should make sure the shoe fits with the rest of their chosen outfit’s color scheme. Women can opt for open or closed-toe shoes. If you decide to wear heels, make sure they’re under three inches so you won’t have problems standing up or moving around. Clothes: Collars lend an air of quiet confidence to any outfit so it’s a good idea to wear suits and blazers, providing they fit properly. Make sure to check your outfit thoroughly for loose or wayward threads. Black suits and blazers look too serious or somber so go with dark or charcoal navy or gray. Jewelry and Accessories: The only accessories for men are watches and wedding rings. Women should keep jewelry and accessories to a minimum. Pearl earrings, an elegant ladies watch, and a simple necklace are enough. Everything from the initial phone call, how you interact with the receptionist upon your arrival for your interview, up to the way you shake your interviewer’s hand after your job interview is important. These simple interactions will make or break your chances of being considered for the position so make sure you turn them in your favor. Always think about how to use these interactions so you can leave a winning first impression. Whether it’s the way you talk, the way you look, or the way you carry the conservation, every interaction is important so make full use of them. When you finally get the job offer, give yourself a pat on the back but know that it’s just the beginning of your journey. Work on strengthening the relationships you’ve built during the job application process and continue proving your worth as the best person for the position. Posted in Job Hunting Strategies by Sirilak Uttayarath on September 15, 2014 .